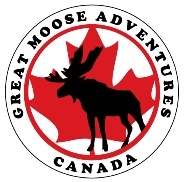 Great Moose Adventures (GMA) is an outdoor education centre located in Muskoka, Ontario. Owned and operated by experienced, OCT certified educators with a passion for lifelong adventure and learning, GMA offers a variety of educational programs focusing on creativity, outdoor exploration, adventure and individualized learning. Utilizing the Great Moose Adventure Centre (GMAC) in Muskoka, Ontario, with 96 acres of pristine wilderness, 30 acres of conservation wetlands, 100 acres of adjoining Crown Land and the clear, calm Kashe River; our goal is to provide unique, customized, ‘hands-on’ learning, character development, and a strong connection to our community.